In this paper, we give a brief overview on Gröbner bases theory, addressed to novices without prior knowledge in the field. After explaining the general strategy for solving problems via the Gröbner approach, we develop the concept of Gröbner bases by studying uniquenss of polynomial division (“reduction”). For explicitly constructing Gröbner bases, the crucial notion of S—polynomials is introduced, leading to the complete algorithmic solution of the construction problem. The algorithm is applied to examples from polynomial equation solving and algebraic relations. After a short discussion of complexity issues, we conclude the paper with some historical remarks and references. A. Capani, G. Niesi, and L. Robbiano. CoCoA: A System for Doing Computations in Commuatative Algebra, 1998. Available via anonymous ftp from http://cocoa.dima.uniqe.it. D. Grayson and M. Stillman. 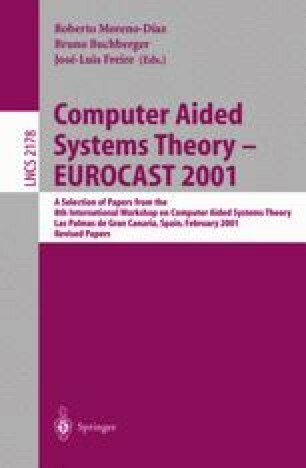 Macaulay 2: A Software System for Algebraic Geometry and Commutative Algebra. Available over the web at http://www.math.uiuc.edu/-Macaulay2. G.-M. Greuel and G. Pfister and H. Schönemann. Singular Reference Manual. Reports On Computer Algebra, Number 12, Centre for Computer Algebra, University of Kaiserslautern, 1997. Available over the web at http://www.mathematik.uni?kl.de/~zca/Singular.